Friday is the Muslim holy day, a day of worship at mosques. The naming of Christchurch, New Zealand, the capital city of the Canterbury region, occurred in 1848, when the founders who had attended Christ Church College in Oxford, named it after their Alma Mater. First reports were that four individuals had been arrested, one woman and three men. But only one person was tied to the actual shooting. One male has been identified as an Australian Caucasian. This Christchurch shooter self-identified himself as "Brenton Tarrant." He posted this photo of himself. (He was charged with murder on March 16, 2019. Brenton is an English place name and surname. The surname Brenton indicates that one's ancestors came from a place called Brenton near Exminster, England, the original meaning of which was "Bryni's homestead." Bryni was an Old English given name based on the word bryne, "flame." Tarrant is a Welsh name meaning "thunder." 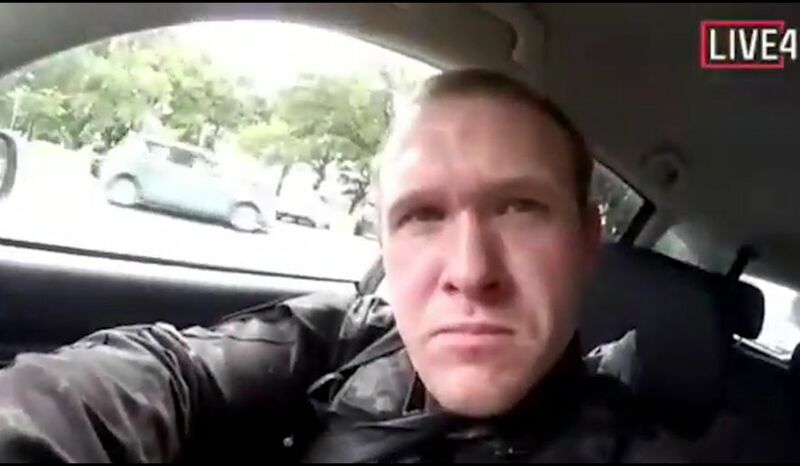 After going back outside and shooting a woman there, he gets back in his car, where the song 'Fire' by the English rock band The Crazy World of Arthur Brown can be heard blasting. The singer bellows, 'I am the god of hellfire!' and the gunman drives away. Source. Australian Prime Minister Scott Morrison confirmed that at least one of the individuals taken into custody is an Australian born citizen. 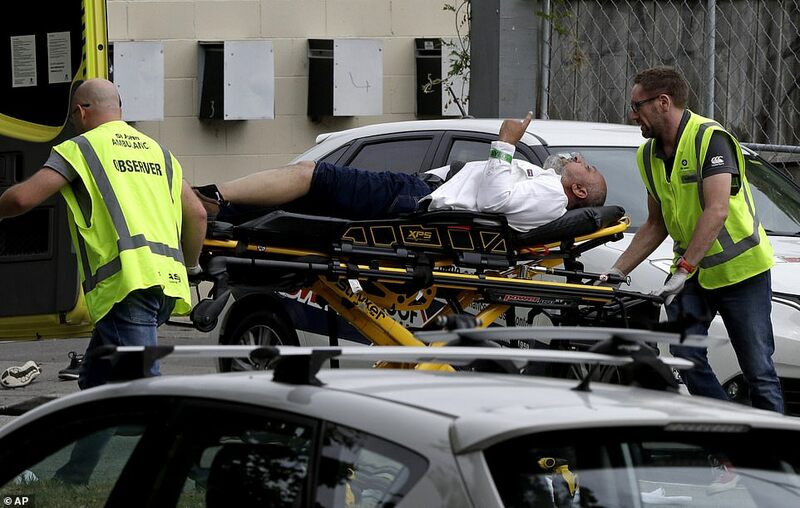 He called the shooting as being at the hands of a "extremist right wing, violent terrorist," at a press conference Friday. 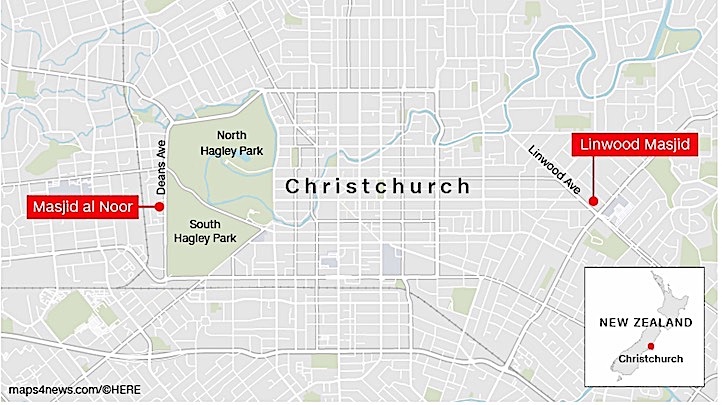 The attacks appear to have unfolded at the Al Door Mosque, Deans Avenue, next to Hagley Park, and at the Linwood Mosque in the suburban location of Linwood. One shooter live-streamed his attack on social media, gruesomely displaying how he entered the mosque and shot innocents. 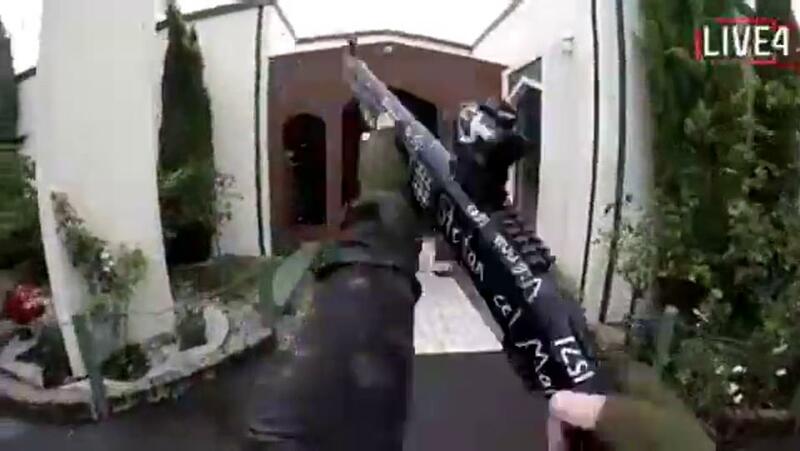 New Zealand Police have requested this video be taken down from any social media site. 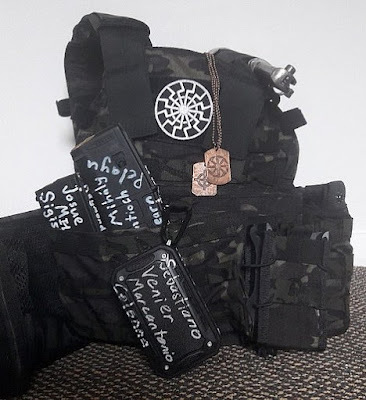 The shooter's weapons were marked with white supremacist symbols and the names of historical figures who fought against the Ottoman Empire, the Islamic superpower of its day. Besides automatic weapons employed, multiple improvised explosive devices were attached to vehicles as part of the attack. 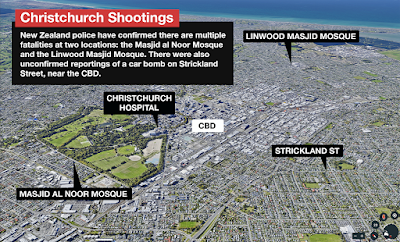 All schools, for a time being, and all mosques were closed. 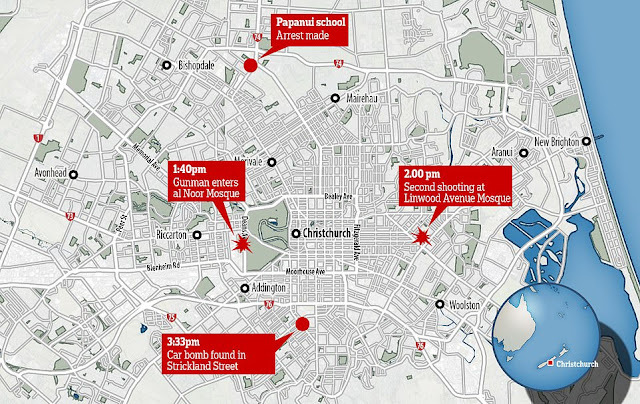 Christchurch experienced a massive lockdown. 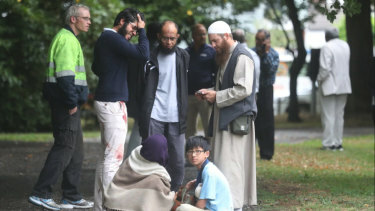 A worldwide alert went out, and mosques in many locations - New York City, Los Angeles, London, Minneapolis and other cities - were closed or security forces were sent to guard them. 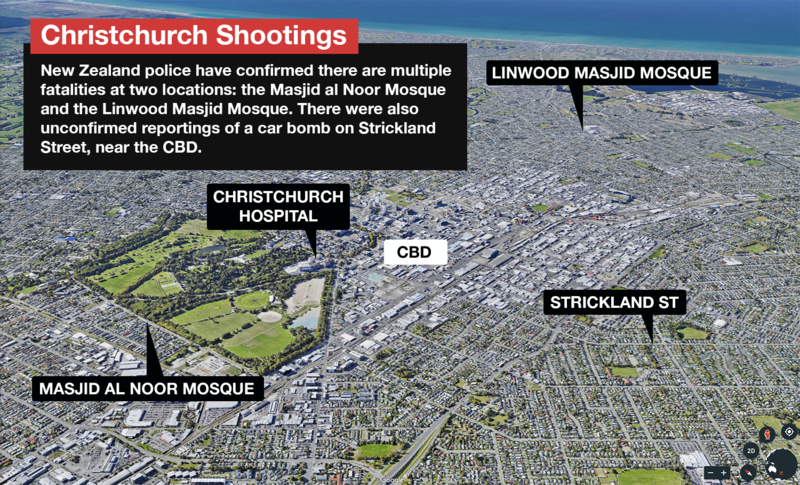 New Zealand Prime Minister Jacinda Ardern said, "This is one of New Zealand's darkest days." 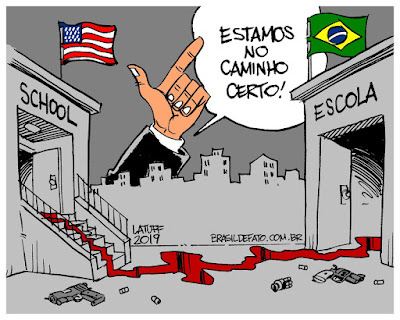 After a period of relatively quiet, as far as mass violence, it will be noted that on Wednesday, March 13, 2019, Brazil experienced a mass shooting at the state school in Suzano, near São Paulo, when students were on a snack break. 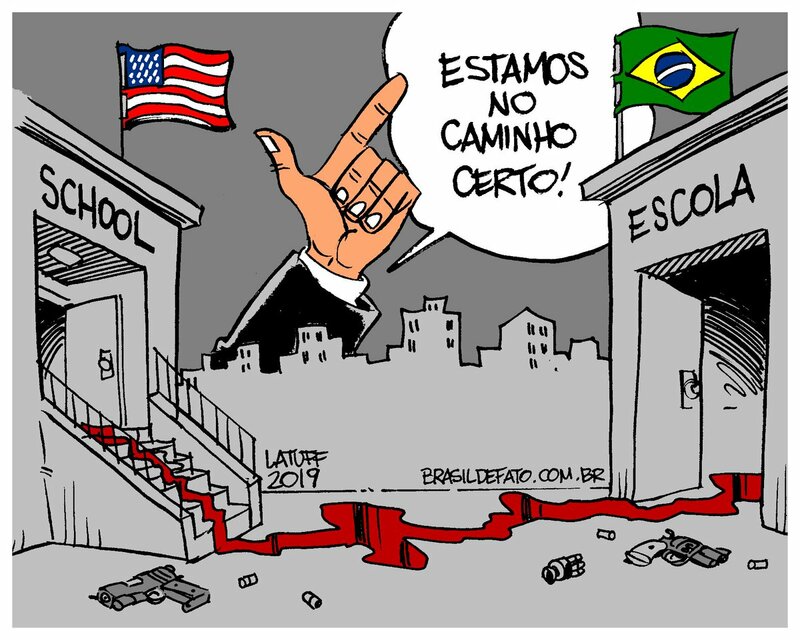 Two school employees, five adolescent students, and the two former students all died. One owner of a nearby car rental shop was also killed. 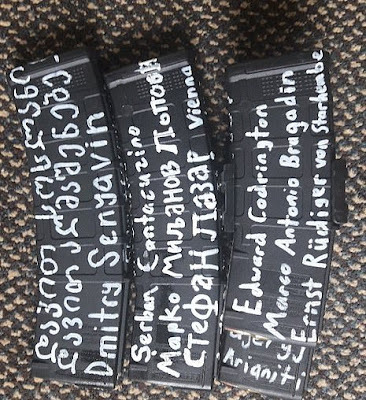 One of the gunmen was his nephew and they stole a car from him before the school shooting. But in a Twilight Language sense, the Ides of March may be a deadline for settling karmic debts, not necessarily just financial ones.